KINGSPORT — Mickey, Minnie, Donald, Goofy and Snow White, you’re about to get some musical visitors from the Tri-Cities. They are from the greater Bloomingdale and Lynn Garden communities to be exact. 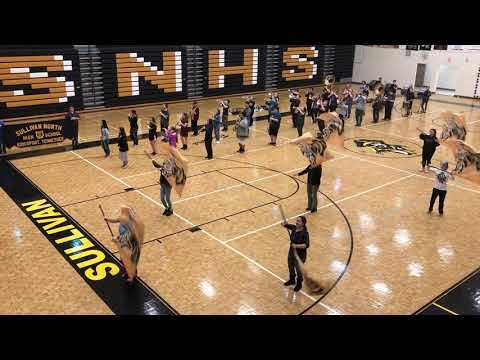 Sullivan North High School’s marching band is headed to Disney World Friday evening and will march in the Magic Kingdom’s Main Street USA parade Sunday afternoon. 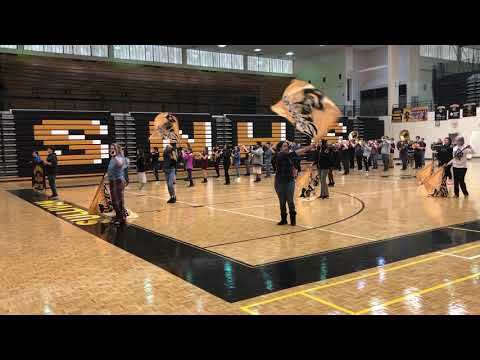 The Marching Golden Raiders got in a last practice of its rendition of “Hand Clap” in the North gym Thursday afternoon because of the rain. Band members said the trip is a culmination of the band growing in numbers and performance prowess since a few years ago when it had about half as many members. At one time, the band at the 500-student high school had fewer than 20 members. They also credited Director Nick Routh, pronounced “Ruth,” for improving and growing the band over the past few years, from a performance at the Carowinds amusement park and a parade in Atlanta before planning of the Disney trip started at the 2018 band banquet. Fundraising has included selling pizza kits and a pancake breakfast, with a payment plan set up to make the trip more affordable with incremental payments. The group will ride a chartered bus Friday night and Saturday morning, arriving at Animal Kingdom for a day of Disney Saturday before heading to the hotel. Sunday, the band will perform about 5 p.m. in the Main Street USA Parade at the Magic Kingdom, followed by a visit to Daytona Beach Monday and Disney’s Epcot Tuesday and then the trip back home Tuesday night, arriving at North at about 10 a.m. on the week of spring break. “Disney’s giving us all Mickey ears, so that’s going to look good,” Stanley said. All told, 54 students and 20 parent chaperones are making the trip. For many, like the trombone and trumpet section leaders, it will be a return visit to Disney, but Stratton said it will be her first Disney visit. Some going on the trip are eighth-graders, and one is a seventh-grader. North Middle is co-located with North High. “When I was in high school band (at Sullivan East High), we did a trip to Disney. It was by far my favorite trip,” Routh said of his reasoning for suggesting the trip.